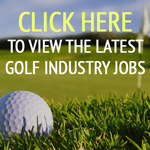 In these terms and conditions, “the Advertiser” means the party booking advertising space together with any agent acting on their behalf and “the Publisher” means Union Press Ltd, which publishes advertisements under various titles including inter alia The Golf Business, The Drinks Business, The Spirits Business, Greenkeeping and supplements thereto. “Advertisement” includes any form of promotion either printed in one of the publisher’s titles, or inserted thereto, any sponsorship of any event or function of the Publisher’s or any service provided by the Publisher to the Advertise for which the Publisher customarily receives payment. “Publication date” means the date seven working days before the title in question is intended to be circulated to its readers. These dates are listed on the particular titles’ web site or can be obtained from the Publisher. 1. These terms and conditions shall apply to all advertisements accepted for publication by the Publisher and represent the whole of the terms and conditions that govern the contract for the sale of the advertisement except insofar as shall be specifically agreed in writing by the Publisher, notwithstanding the Advertiser’s use of a confirmation, purchase order or any other document containing other terms and conditions. The Advertiser shall not be entitled to rely on any representation (save for fraudulent representations) or warranty, express or implied, which is not contained herein. 2. All advertisements are accepted subject to the Publisher’s approval of the copy and to the availability of advertising space. Reasonable efforts will be made to place an advertisement in the section apparently most relevant to the Advertiser, but the Publisher reserves the right to make the final decision as to the position of the Advertisement without obtaining the Advertiser’s approval thereto. Any free listing is offered ex gratia, and whilst the Publisher will consider the wishes of the Advertiser, the Publisher reserves the final decision whether to include the same and as to its format and wording and shall not be required to obtain the approval thereto of the Advertiser. 3. The Advertiser warrants that the advertisement does not contravene any relevant statute or regulations made thereunder, nor is it in any way defamatory or illegal or an infringement of any other party’s rights, or an infringement of the prevailing edition of the British Code of Advertising Practice (or the equivalent in any other country where the publication might be distributed). The Advertiser further warrants that the advertisement complies with the laws applicable in the UK and/or in the countries in which the publication will be published. 4. The Advertiser will indemnify and keep indemnified the Publisher in full against any losses, costs, claims (actual or threatened) and expenses howsoever incurred by the Publisher arising, directly or indirectly, out of the advertisement or in respect of any breach by the Advertiser of these terms and conditions and the Advertiser must be prepared to pay the amount of loss suffered and/or expenses incurred by the Publisher as a result of the advertisement and/or in respect of a breach of this contract. 5. The Publisher reserves the right to omit an advertisement at any time before publication at the Publisher’s absolute discretion. Such omission will be notified to the Advertiser as soon as possible by email or by post. The Publisher shall repay to the Advertiser any sums paid in advance concerning the omitted advertisement or set-off the same against sums due to the Publisher and the Advertiser accepts and understands that it will not have any claims of any nature against the Publisher where an advertisement is so omitted. 6. The publication of the advertisement must be at the absolute discretion of the Publisher and the date of the publication can be changed by the Publisher without notice being given to the Advertiser and without the Publisher being in breach of contract in any way. 7. Reasonable care will be taken to avoid mistakes but the Publisher cannot accept liability for any errors due to the acts, omissions or defaults of third parties or sub-contractors or inaccurate copy instructions or materials or other acts or defaults beyond its control. The Publisher shall not be liable for any errors in the advertisement unless any proof is returned in sufficient time (as the Publisher shall in its absolute discretion determine) for corrections to be made before the publication goes to press. 8. Advertisements are accepted on condition that the price quoted for the advertisement binds the Publisher only in respect of the next issue going to press. The Publisher reserves the right, by giving notice to the advertiser at any time before the advert is published, to increase the price of the contract to reflect any increases in the cost to the publisher which is due to any factor beyond its control. 9. Full payment of the contract plus VAT, where applicable, is due within 30 days of the date of the invoice, which will be submitted on publication of the advertisement. Interest at 2% per month calculated from the invoice date will be charged on overdue accounts. Time for payment of the Publisher’s invoices shall be of the essence. 10. All insertions shall be submitted by the Advertiser by the copy date as specified on the confirmation or other written or electronic document in proper “mechanical form”(as set out in the media pack of the appropriate publication which is available to download from the publication’s web site). If the Publisher does not receive the advertising copy in proper “mechanical form” from the Advertiser and if this requires the Publisher to perform additional production work, the Publisher reserves the right to make reasonable additional charges to the Advertiser for the cost of such work. The Publisher accepts no responsibility whatsoever for any errors in any materials or information supplied by the Advertiser. 11. Proofs of advertisements will only be sent on written request by the Advertiser personally and if sufficient time is available to complete such actions so as not to delay publication. Any amendments to the proof provided must be advised to the Publisher within 24 hours or the Publisher shall be entitled to assume the proof has been approved. 12. Cancellations for “single” or “series advertisements”: No cancellation of any advertisement can be made within 45 days of publication. Before this period, a cancellation can be made within 14 days of the date of the confirmation by email, quotation or other written record of the confirmation of the advertisement, provided that such cancellation is made in writing or electronically. Any abortive costs already incurred by the Publisher in connection with the advertisement will be payable by the Advertiser. Any cancellation after 14 days of the confirmation, quotation or other written record of the advertisement, but more than 4 5days before the Publication date, may be accepted by the Publisher in its absolute discretion upon the Advertiser paying not less than seventy five percent (75%) of the full cost of the advertisment. A “series advertisement” is a booking for one or more insertions and confirmed as such in one confirmation, email or other written document, where the advertisement is placed for the same principal or members of the same group of companies and the Advertiser receives the benefit of improved terms whether by price or other advantage. For the purposes of these Terms and Conditions, a “series advertisement” will be treated as though it is one advertisement with a publication date of the first date an insertion under the confirmation is due to appear. In calculating any cancellation fee that the publisher is in its absolute discretion prepared to accept, any beneficial rate for the advertising will be replaced by the full rate card price for any advertisement which will be used in calculating the amount the Publisher in its absolute discretion may accept. 13. The Advertiser must supply a copy of the proposed advertisement (the “Copy”) to the Publisher by the copy date. If the Copy and instructions are not received by this copy date, the Publisher may treat the Advertiser as having cancelled and reserves the right to insert either a previously submitted advertisement (if held) or to create an advertisement using such information as is available to the Publisher at the time. In all such cases the full cost of the advertisement will be due for settlement by the Advertiser and the Publisher shall be under no liability whatever to the Advertiser for any direct loss/or expense or indirect loss and/or expense suffered by the Advertiser or liability to third parties incurred by the Advertiser directly or indirectly arising from such an advertisement. If the advertisement is received after this copy date and the Publisher elects to place the advertisement no guarantee can be given that proofs will be supplied or corrections made. 14. All complaints or claims regarding advertisements published must be made in writing within 14 days following the date of the Publisher’s invoice and sent to the Publisher by email or other written communication where receipt can be guaranteed, failing which any complaints shall be of no force and effect. 15. Advertiser’s property, artwork etc, are held at the Advertiser’s risk and should be insured by them against loss or damage from whatever cause. The Publisher reserves the right to dispose of all artwork 14 days after publication. Artwork will be returned if, prior to publication, the Publisher receives by email or other written communication, a request for such return. The Advertiser warrants that it is the owner of the intellectual property rights in the artwork, logo and designs which it shall provide to the publisher to use in any advertisement and the Advertiser shall indemnify the Publisher and keep it indemnified against all or any costs, claims, damages, demands and expenses which may be incurred by or made against the Publisher by any third party by reason of the Advertiser being in breach of this condition. 16. In no event shall the liability of the Publisher for any breach of contract or in tort exceed the price paid by the Advertiser for the advertisement. 17. In no event shall the Publisher have any liability, either in contract or in tort, for any consequential loss or damage including loss of profit. 18. In the event the Advertiser fails to pay any sums that are due hereunder and in consequence thereof legal action is commenced, the Advertiser agrees to pay all legal fees incurred thereby, in addition to interest and costs pursuant to law. 19. For security reasons, telephone conversations may from time to time be recorded. This is to ensure that if necessary we can verify that we will deliver to our clients all that has been promised verbally. 20. No waiver by the publisher of any breach of the contract by the Advertiser shall be considered as a waiver of any subsequent breach of the same or any other provisions. 21. If any provision of these terms and conditions is held by any competent authority to be invalid or unenforceable in whole or in part the validity of the other provisions of those terms and conditions and the remainder of the provision in question shall not be affected. 22. The Publisher shall not be bound by or be liable in respect of any representation or warranties of any nature made by any of its employees or agents who act or purport to act on its behalf, save and unless such representation or warranty is reduced to writing and is signed by a duly authorised representative of the Publisher. This agreement shall be deemed to have been entered into England at the Publisher’s place of business and is subject to the application of English Law under the jurisdiction of the English Courts.